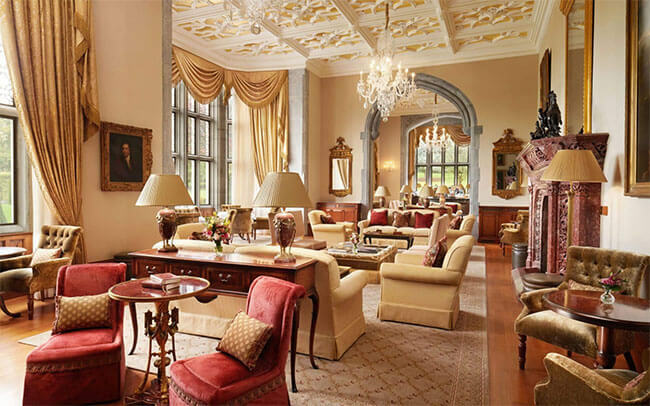 Masterfully designed, magnificently maintained, and perfectly set within the glorious estate of one of Europe’s most spectacular manor house hotels, The Golf Course at Adare Manor is ready to take its place among the best championship courses anywhere when it opens in March 2018. Celebrated golf architect Tom Fazio has taken what was already an award-winning course and transformed it into a parkland paradise befitting a country in the top tier of global golfing destinations. The new course has been created in harmony with the outstanding natural beauty of its surroundings: lush, softly rolling terrain, mature tree scaping, and the sweeping banks of the River Maigue. 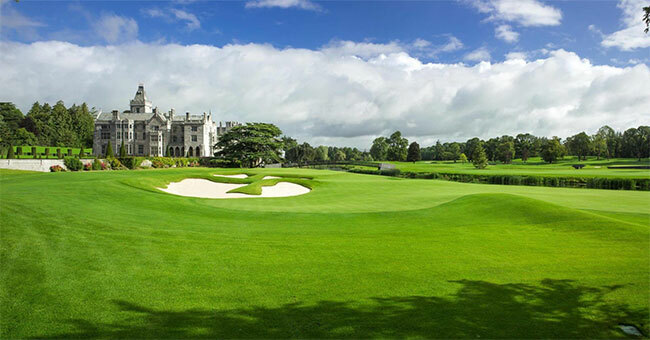 Each hole of The Golf Course at Adare Manor could be crowned the feature hole: each one has been entirely redesigned and reconstructed, with the very latest technology and course innovations, creating a challenging, characterful, and profoundly satisfying playing experience for golfers of every level. The final result is a course that is at once strategic and soulful, playable in all conditions, and future-proofed in preparation for premiere amateur and professional golf events. Cared for by an experienced, passionate team of devoted greenkeepers, the condition of this course and its velvet-smooth Pure Distinction bent grass greens is unrivalled. Off the course, this commitment to perfection continues in the perfectly appointed clubhouse, which will open in April 2018. Luxurious, stylish, with a modern jazz-age sensibility and every convenience and indulgence you could require, The Carriage House is a worthy counterpart to Europe’s finest new golf course. This is where you will find our expert staff (expert team) and comprehensively stocked Pro Shop, our elegantly welcoming locker rooms, and exciting options for food, drink, and relaxation. The Carriage House features a world-class restaurant helmed by award-winning Chef de Cuisine Neils Van Oers, a smart and lively Bar serving light bites and a remarkable collection of fine wines, craft beers, and sophisticated cocktails, a gorgeous covered Terrace with panoramic views of the greens, and our snug, comfortable Cigar Lounge. Taken together, The Golf Course at Adare Manor provides an unforgettable experience designed to inspire, challenge, and captivate the most demanding and spirited golf enthusiasts in the world. 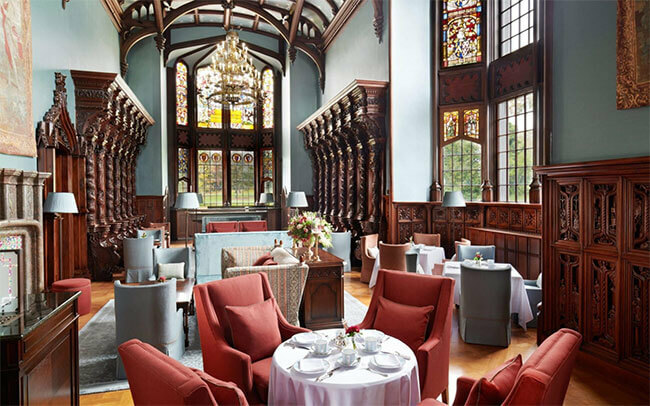 Since March 2016 Adare Manor has undergone a major upgrade and redevelopment of the entire property. The newly refurbished and expanded Hotel has 104 guest rooms and suites in addition to Manor lodges and garden cottages, a grand ballroom that can accommodate 350 persons for formal occasions, a signature La Mer Spa, a fully renovated and expanded clubhouse, locker rooms and dining facilities, cinema, boardroom, dining options and all estate infrastructure and amenities. 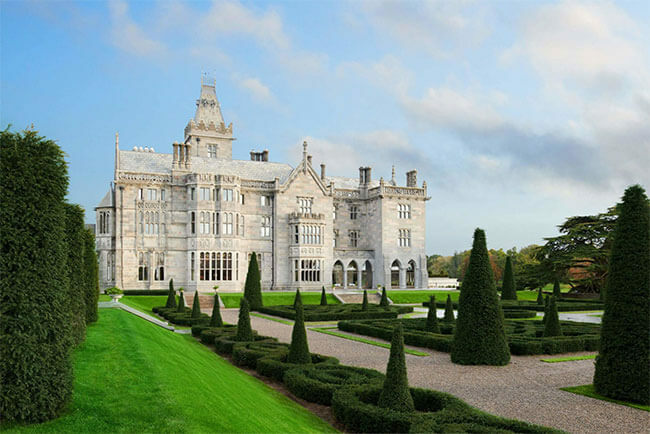 The new Adare Manor is now positioned to operate at the very highest level with attention to detail, and service levels at the core of its operation.